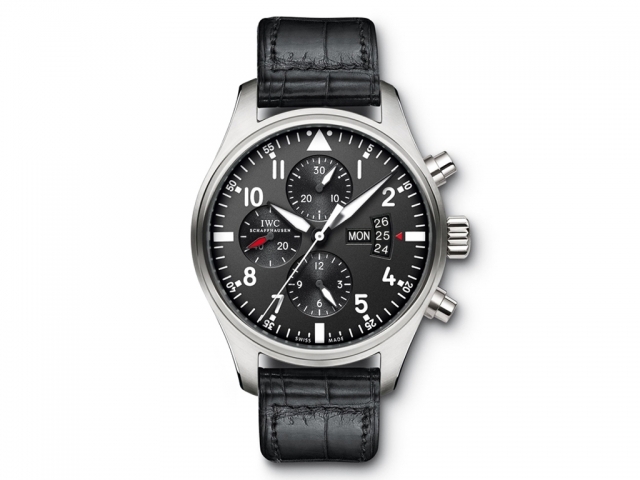 EDITOR’S PICK: What’s not to love about the IWC Pilot’s Chronograph? 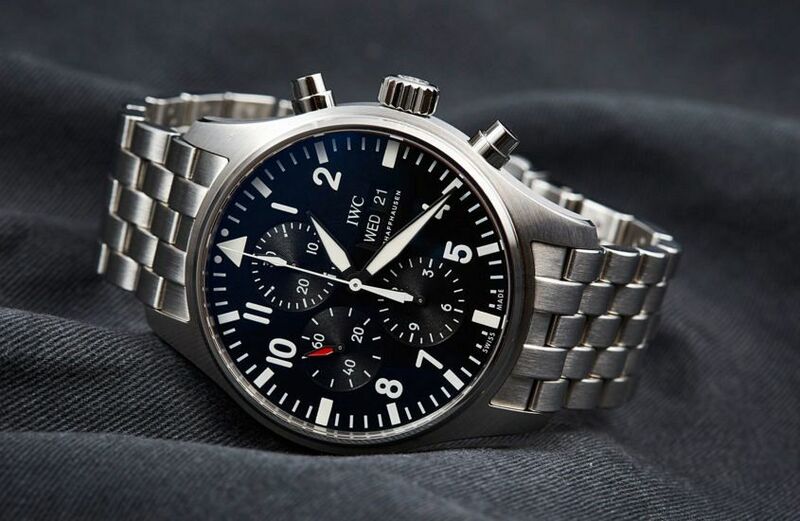 Editor’s note: The perennially popular IWC Pilot’s Chronograph is one of those iconic modern tool watches that can pull off almost any occasion, thanks to its handsomely utilitarian design. To prove just how versatile it is, Andy recently spent some time with the Spitfire at Goodwood. And while I could start waxing lyrical about the much loved classic or by quoting Top Gun, I’ll stop myself and hand it over to my wingman Felix to buzz the tower (sorry not sorry). 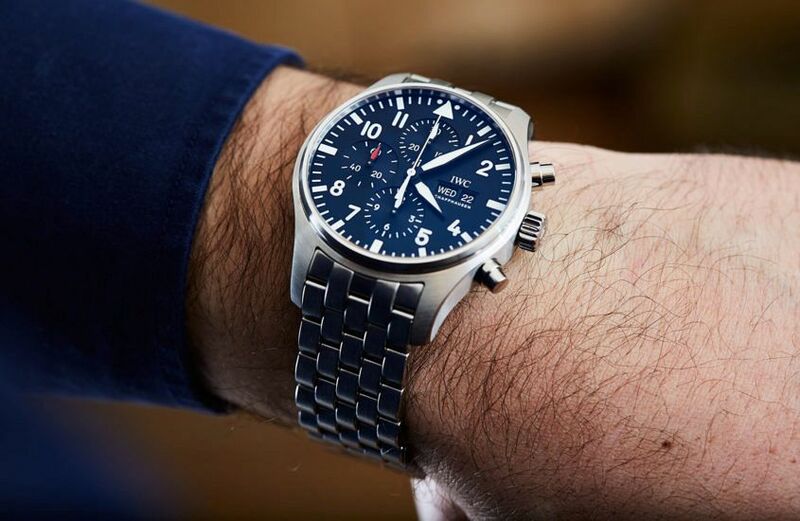 If you’ve been paying even marginal attention to IWC over the past seven months, you’ll have noticed it’s on a bit of an aviation kick, refreshing the entire Pilot’s family and adding some tantalising novelties like the limited edition ‘Le Petit Prince’ edition of the Big Pilot and the ingenious Timezoner. Impressive as these are, they’re not the bread and butter of IWC’s Pilot’s line. That falls to fresh faces like the Mark XVIII, and updated stalwarts like this one, the Pilot’s Chronograph. If you were to look quickly at this new reference (IW377710, or IW377709 on Santoni leather) next to the outgoing IW377701 you could be forgiven for thinking they were the same watch. But take another look, and numerous small tweaks become apparent. The other changes concern the strap. For the leather version, the alligator strap has been replaced with a fine Santoni calfskin – a nod to the watch’s utilitarian roots that doesn’t detract from the premium offering of the Pilot. 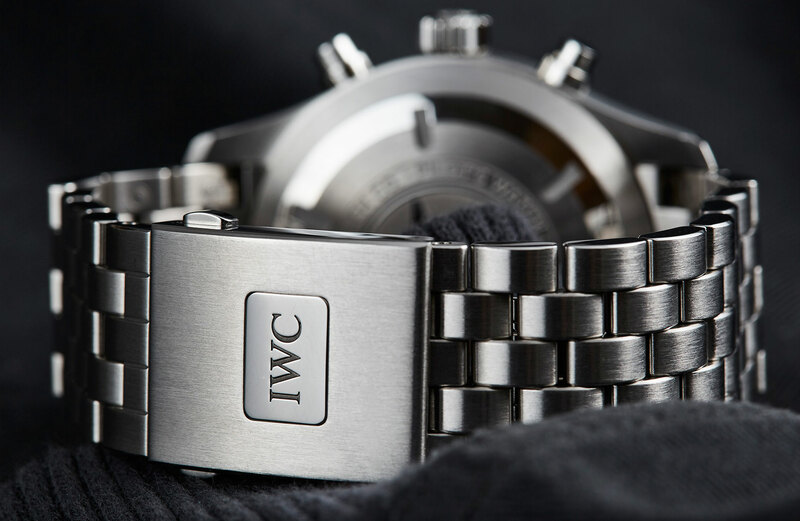 The stainless steel bracelet — always one of the best quality offerings at the price-point — has also received a makeover, and is exceptionally comfortable, thanks to the deployant clasp with micro-adjustment, which allows you to make small adjustments on the wrist, simply by pressing the IWC logo. These changes aren’t earth-shattering in their magnitude, but all add up to a watch that is, I think, a marked improvement. The design is cleaner, more balanced and more comfortable to wear. 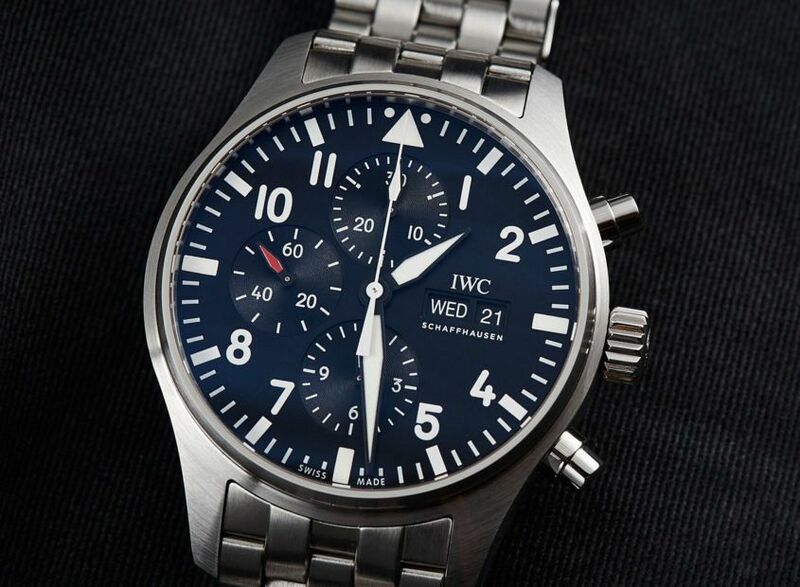 The IWC Pilot’s Chronograph, $8950, on steel bracelet. Original images by Jason Reekie.